Many imported items are expensive to buy in Costa Rica. One of these items is Bisquick Mix from General Mills. I searched the web and found this recipe that was published in the Kansas City Star food section years ago. 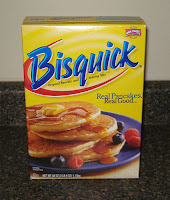 Try this simple recipe and you’ll never buy the boxed Bisquick Mix again. 1 cup of vegetable shortening (think Crisco). In Costa Rica, I buy Clover brand "Manteca Vegetal"
Sift the flour, baking powder, and salt 3 times into a large bowl. Cut the shortening in with a pastry cutter until the mixture resembles fine crumbs, or sand. Store the mixture in an airtight container in the refrigerator up to 4 months. 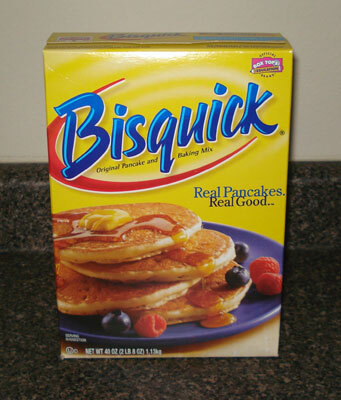 Use as a substitute in any recipe that calls for Bisquick.